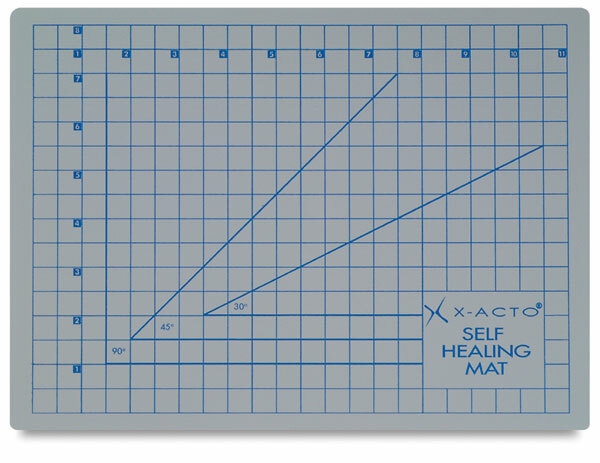 X-Acto Self-Healing Mats make clean, straight cuts every time. Self-healing means your cutting surface does not disintegrate with repeated use. A one-inch incremented grid pattern printed on mats can aid in sizing your cuts.